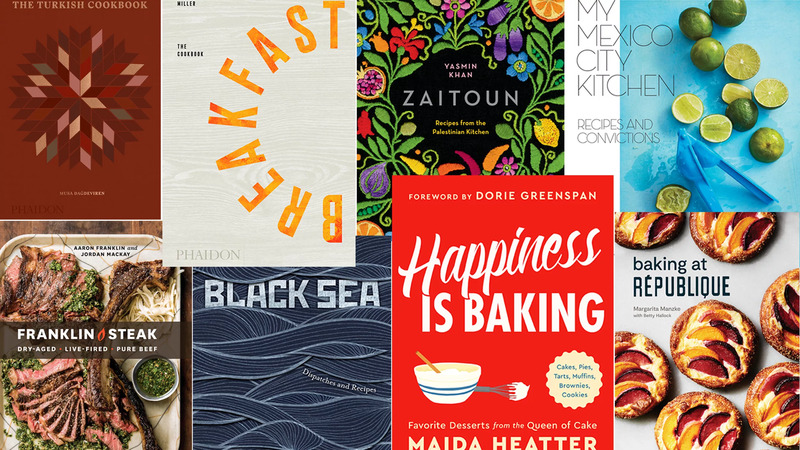 Food reporters and editors from The New York Times and Eater pick their favorite new cookbooks of the season. Compelled to deliver something beyond the pure exposition of recipes, the best cookbooks today educate, inspire, and nourish us in more ways than ever. This season’s new arrivals are sure to be game changers, from Andrea Nguyen’s exploration of Vietnamese cuisine to Yasmin Khan’s illuminating glimpse into Palestinian kitchens. While there are hundreds of new books out there to discover, read on for 10 that are worth a closer look. “Tangy, sweet, sour, zesty, herbaceous — these are just some of the flavors of Vietnamese cuisine, mingling in salty harmony with an abundance of fish sauce. Thankfully for American home cooks, plenty of ingredients once found only at Asian grocery stores, like fish sauce and oyster sauce, are now more readily available, making cooking Vietnamese cuisine at home easier than ever. In Vietnamese Food Any Day, Andrea Nguyen, a James Beard Award-winning cookbook author, shares recipes, tips, and tricks from her mom, who adapted her own cooking after immigrating from Vietnam to America. The recipes embody khéo, a Vietnamese term that Nguyen translates as “smart” and “adroit.” In the spirit of khéo cooking, none of the recipes require complicated or time-consuming processes like deep-frying or pressure cooking, and Nguyen streamlines process without compromising flavors. Her grilled slashed chicken, inspired by a dish Nguyen had on the island of Phú Quốc, leans on chopped garlic, onion, sugar, and fish sauce, and a simple marinade makes the recipe an easy weeknight dinner choice. 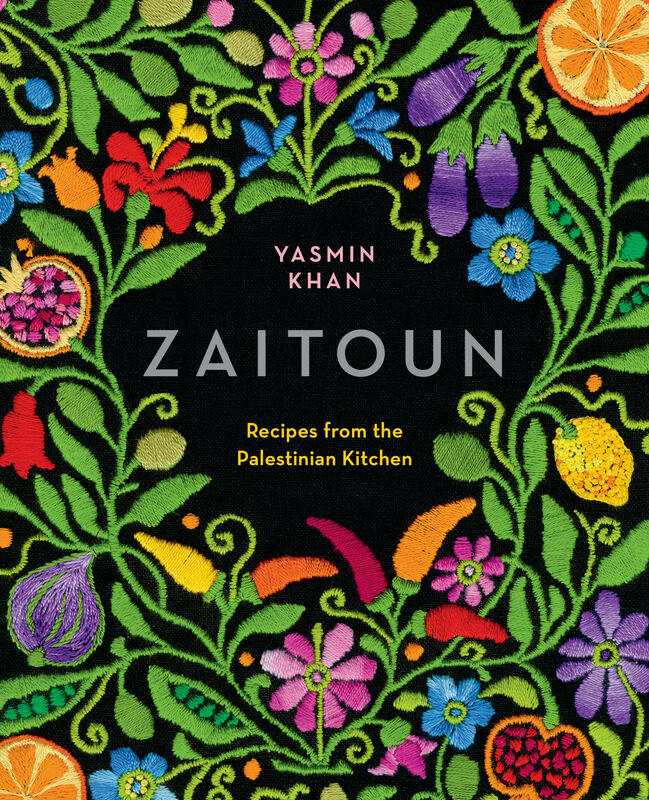 “Zaitoun, which means “olives” in Arabic, contains recipes for familiar dishes like hummus and shakshuka. 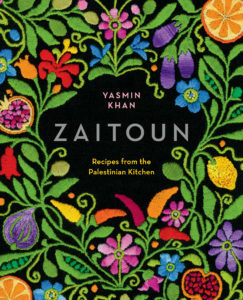 But in Yasmin Khan’s newest book, the follow-up to her 2013 hit The Saffron Tales: Recipes from the Persian Kitchen, everything is filtered through the lens of Palestinian experiences, as Khan takes readers on a journey within Palestinian communities in Israel. Khan, who grew up with a Pakistani father and Iranian mother, reflects on her trip as a visitor. In Jerusalem, she shares kefte bil tahini (baked spiced lamb meatballs over potatoes) with Essa Grayeb, a Palestinian nurse, who explains that cuisine might provide “a romantic view of Jerusalem life, but that doesn’t reflect our reality.” Grayeb is among several individuals who express passion for sharing their culture but also frustration with the unsteady political climate and its daily challenges. “Enrique Olvera’s new cookbook is not dedicated to his celebrated Mexico City restaurant, Pujol; it’s an homage to good Mexican home cooking. In 100 recipes, Olvera presents a collection of dishes that range from the basics (tortillas, salsas) to meals that echo his work at his Mexico City and New York restaurants (carnitas, tongue tacos). 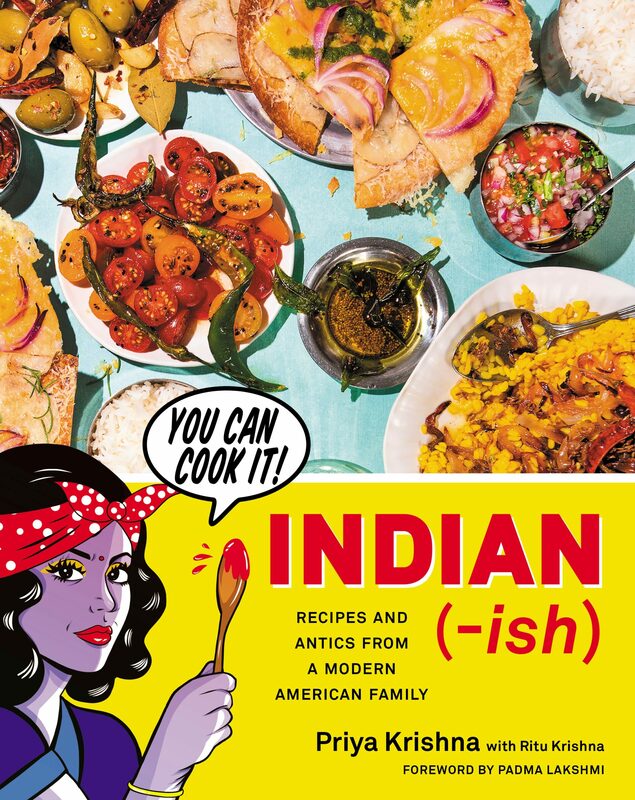 But it all feels relatively accessible: Recipes are divided into chapters like “Weekday Meals” and “Food for Sharing,” the latter focusing on family-style dishes like stuffed chiles and barbacoa. “It’d be silly to call breakfast a trend, as the concept of a morning meal is hardly an innovation. Yet breakfast does seem to be having a moment, from the rise of all-day cafes to the starring role that smoothie bowls play on social media feeds. Writer and entrepreneur Emily Elyse Miller harnessed that cultural moment when she launched BreakfastClub, which plays host to food tours and stylish pop-up events centered around breakfast food and morning rituals. 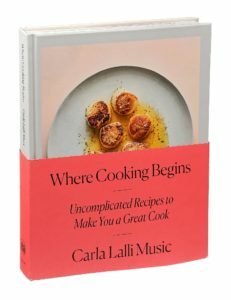 Her first cookbook, an “exploration of breakfast around the world,” feels equally of-the-moment. 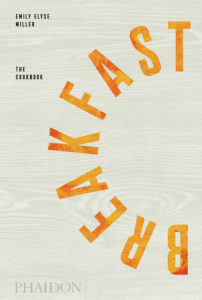 Breakfast: The Cookbook is admirably substantive, diving into the culinary traditions of nearly 80 countries in 380 recipes. The book is organized by broad categories — eggs, pancakes, toasts, sandwiches, soups and stews, etc. — that serve to highlight the culinary overlaps between cultures. Readers can try their fried eggs with awarma, a lamb confit that’s common in Lebanon; fried plantains and refried beans, as one does in El Salvador; or ground cumin and oil-cured black olives per Moroccan tradition. Porridge recipes include masoub, a banana bread pudding found on Saudi Arabian breakfast tables; borbor, a Cambodian rice porridge typically topped with a salted duck egg; cháo gà, a Vietnamese variation of congee made with chicken; and the South Indian go-to rava upma, a spiced semolina and vegetable dish. 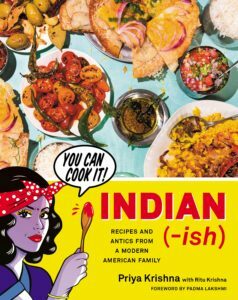 Interspersed among the recipes are interludes by chefs and cookbook authors that bring personal perspectives to breakfast traditions. “The most magical aspect of dining at République, an all-day essential in LA, is apparent the moment you walk through the door. Bountiful rows of pastries line the 15-foot counter, beginning with cakes and pies and gradually moving into filled doughnuts, piles of croissants and kouign amanns, lemon poppy loaves, muffins, and mushroom brioche tarts, among many, many others. 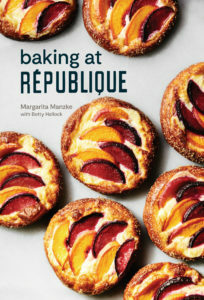 The magic of that counter is what pastry chef and co-owner Margarita Manzke, with Betty Hallock, captures in Baking at République. Manzke positions the book as a pastry education, with each chapter structured around a “master” recipe (brioche, pâte sucrée, pâte à choux, etc.) or technique (mixing cake batter, cookie dough, etc). 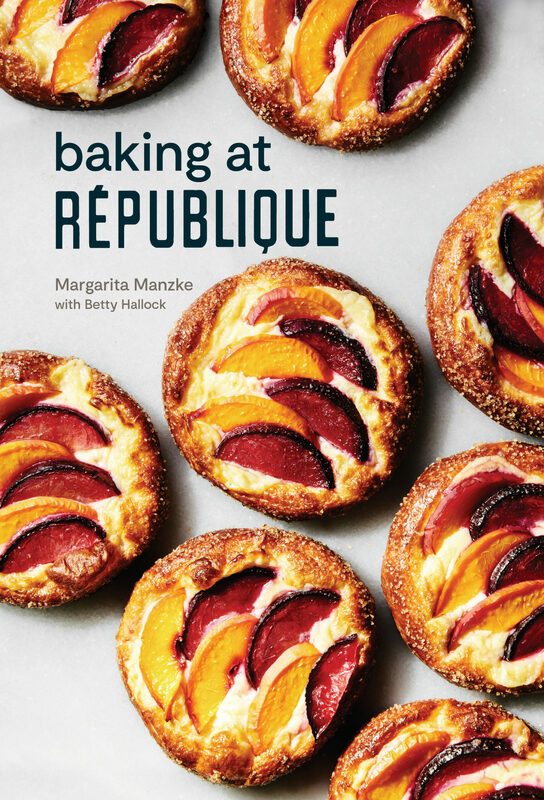 With recipes both sweet and savory, Baking at République covers some of the restaurant’s signature treats, like the s’mores bomboloni, brioche fruit tarts, and berry tres leches. “Anybody can make steak. “It is beef plus fire,” according co-authors Aaron Franklin, owner of Austin’s iconic Franklin Barbecue — one of the country’s top barbecue destinations — and Jordan Mackay. Franklin Steak, their follow-up to the meat-smoking manifesto Franklin Barbecue, pushes meat lovers to achieve something greater: sublime steak. The book is a companion on that quest, encouraging home cooks to really think through the meat from its source to the moment it comes off the grill. The first section of the book is all about knowing thy beef — from the meat industry to the wide and wonderful world of steak cuts, like porterhouse and T-bone. In the second section, you’ll find tips to elevate your steak, dry aging being the big one, as well as a step-by-step guide to building your very own hybrid hibachi, an experimental grill/supercharged steak cooker for the open-fire enthusiast.